Amazon.com description: Product Description: Published to coincide with the 2016 Olympic Games, this books gives young readers all the facts and stats, lists, quotes and trivia that they need about the Olympics. It will also take a look back at the history of the Olympics, as well as looking forward to the events and people that will light up the 2016 Olympics, and inspire a new generation of athletes and sportspeople. 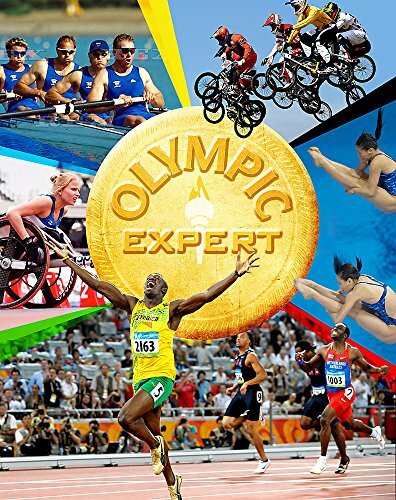 A great resource for readers aged 8+, Olympic Expert offers information on the great variety of different Olympic events, highlighting some 'must-see' moments, while famous Olympians through history are celebrated with quote and mini-biographies. The book concludes with a big quiz.